Maintain your fantasy persona by storing your cell phone, wallet, and other small goods in the Adventurer Pouch. To ensure that your goods remain safely stored and concealed, an antique brass clasp is used as a closure. It is available in an assortment of colors, allowing you to perfectly accentuate your fantasy garb. 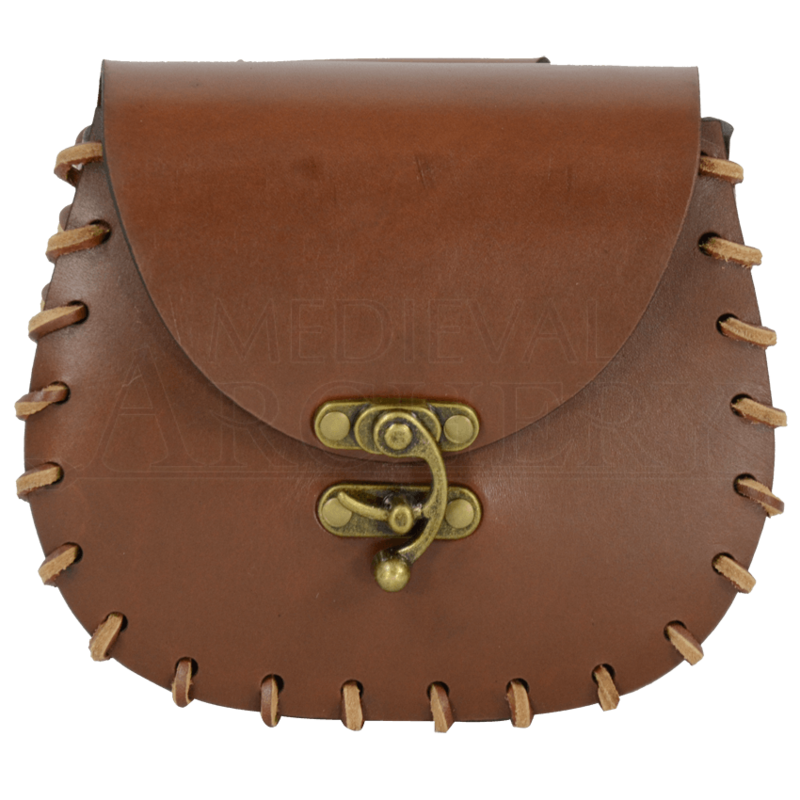 A large belt loop featured on the back of this design allows this leather pouch to be easily attached to belts up to 2 inches wide for comfortable carrying on all of your travels. This pouch is crafted from 8/9 ounce leather and laced together with leather laces for an incredibly durable construction. The Adventurer Pouch is perfect for those who embrace the style of fantasy and is particularly useful during Renaissance Fairs and LARP battles.